Software development is changing constantly. New technologies allow people to work collaboratively and be more productive in a variety of environments. More code is being produced, and getting code updates out to users has never been faster. Large part of this is due to integrated social coding environments, and tools enabling process automation pipelines. All this “progress” is also changing the way programmers go about their business, requiring behavior adjustment, and in many ways stretching their abilities, for better or for worse. Here I will present our research on how programmers’ productivity and behavior change as they navigate collaborative social coding environments, like GitHub, and integrate in their processes automation technologies like continuous integration and continuous deployment. Specifically, I will focus on the a) effects of increased socio-technical multitasking and b) effects of adopting an automation in the development pipeline. To study those, we have used a mix of quantitative modeling methods on large-scale datasets from software project event traces, and qualitative approaches, including programmer surveys and case studies. Our results show that novel programming technologies can enable levels of effort that can overwhelm programmers, and lead to unwanted outcomes. They also demonstrate the value of empirical software engineering in finding a balance between social and technical effectiveness. 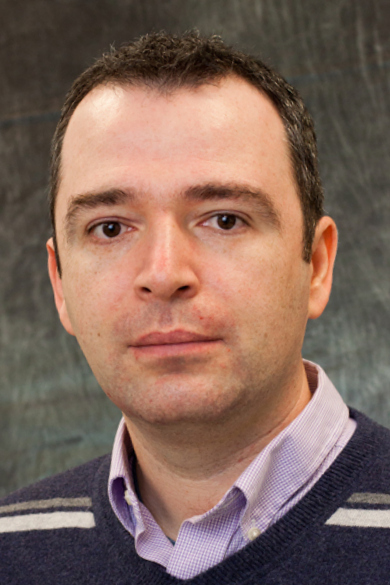 Vladimir Filkov received his PhD in Computer Science from Stony Brook University in 2002. He is currently a Co-Director of the DECAL Lab and Full Professor of Computer Science at the University of California, Davis. His research interests lie in understanding the organization and effectiveness of large, linked systems, especially socio-technical systems of computer programmers and their code, but also biological organisms (mainly plants). Prof. Filkov’s research has been funded by the USA NSF, USDA, USFS, AFOSR, DOD, and other entities. Prof. Filkov’s has been fortunate to have advised diverse cohorts of talented students and postdocs, who now work on the faculty at top universities in the world, and in leading research and industry organizations. His papers have received a Test-of-Time award, five best paper awards and other recognitions. Prof. Filkov is member of the ACM.